Across the country, both rural and urban land management is constantly adapting to a changing landscape – with energy as an integral part of every infrastructure. The C. T. Bauer College of Business at the University of Houston will host the first Distinguished Leaders Series of the Fall semester on Oct. 15, with a reception beginning at 5:30 p.m. before the event at 6:30 p.m. in Cemo Hall’s Stubblefield Auditorium. Students, alumni and the Houston business community are invited to hear from respected experts from various fields in Houston business. Presented by AGL Resources and their Houston-based companies, the DLS serves as an opportunity for exploring topical issues in business, with an emphasis on the energy industry. The first installment of the series will feature Aurora Oil & Gas Limited CEO Douglas E. Brooks, who will focus on Land Management and how it affects the oil and gas industry. Brooks was appointed CEO of Aurora in Oct. 2012 and to the Board of Directors in June 2013. Brooks is a senior oil and gas executive with a career in the industry spanning 30 years. Brooks worked in business development and M&A roles at Marathon Oil Corporation for almost 25 years, including six years as director of Mergers and Acquisitions, Worldwide, and Business Development across the Americas. Brooks left Marathon in 2006 and founded the private equity-backed firm Compass Resources Corporation I. During this time, he recruited a highly experienced technical team, identified, developed and sold two resource projects, the last being in 2011. 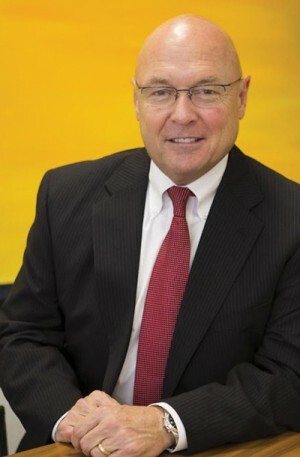 Prior to joining Aurora, Brooks was senior vice president of Business Development at U.S.-listed Forest Oil Corporation. Brooks is a board member of the Houston Producer’s Forum and an advisor for Hart Energy’s A&D Watch, a global energy research publication. Brooks has a Bachelor of Science, Business Management Degree from the University of Wyoming and a MBA from Our Lady of the Lake University.